We have written a lot about the cinemas in Fargo, North Dakota in the Daily before (here, here, here and here), but it is an interesting microcosm of the evolution that the US exhibition industry as a whole is going through. This article highlight changes that three of Marcus Theatres’ Fargo properties are undergoing. The current big screen at Century Cinema, located at 3931 9th Ave. S.W., has just been converted to an Ultra Screen DLX with Dolby Atmos Sound. The size of the DreamLoungers mean each auditorium at Century Cinema will see its seating capacity drop by about 40 percent, but Menefee said the popularity of the chairs should keep auditoriums full. As part of its makeover of the West Acres Cinema, Marcus Theatres is pursuing a liquor license for the site. If approved, the company plans to build a Take Five lounge where adult beverages would be served. When the idea for a theater drinking lounge was discussed earlier this year at a liquor control board meeting, a number of city officials and city residents expressed doubts about the plan. Menefee said if the lounge plan is approved, West Acres Cinema also will get a Zaffiro’s Express, a small restaurant that will serve pizza, sandwiches, salads and desserts. So bar and cine-dining are on the menu in this $700,000 upgrade. 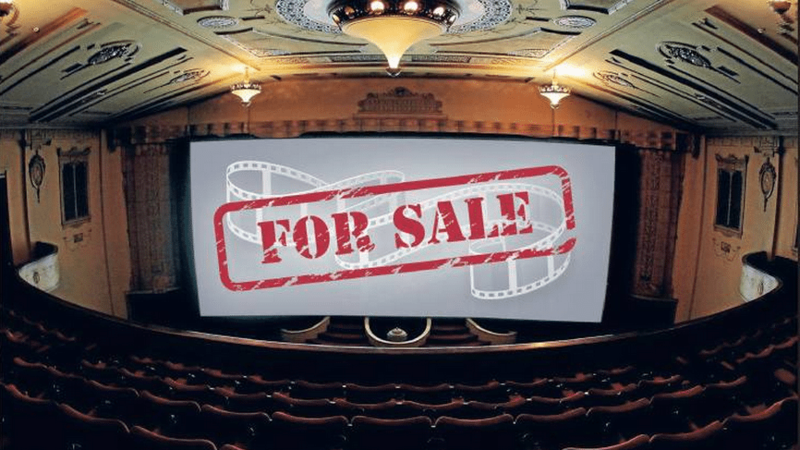 Last year, Marcus Theatres indicated the Safari 7 Cinema, located at 925 30th Ave. S., in Moorhead, was up for sale. The theater shows second-run movies on 35mm film at discounted prices. Marcus Theatres was looking to sell the property because it did not want to incur the cost of upgrading the theater to show movies in digital format. At present, the property is not for sale, and Marcus Theatres is in the process of reviewing possible enhancements for the theater, Menefee said. What those improvements are Marcus won’t reveal just yet, but to keep going it will need digital projectors. Australia: Cinema tickets are getting more expensive Down Under. But there is also a growing trend towards discounting in order to drive sales. In what could a psychological barrier for movie-goers, the top price of an ordinary cinema ticket has hit $20. Two Sydney cinemas have pioneered the price increase — the Cremorne Orpheum and Palace Norton Street in Leichhardt — and others are expected to follow around the country soon. “It’s just a question of a short period of time,” said the chief executive of Palace Cinemas, Benjamin Zeccola, who blamed increases in wages, rent and maintenance and energy costs. 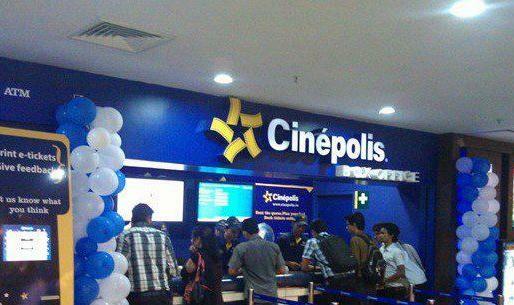 India/Latin America: Forbes India interviews Alejandro Ramirez, the CEO of Cinepolis on the challenges of being a family business and rolling out cinema in India and elsewhere. Q. How has the slowdown affected the exhibition business? There is a theory in the US that cinema-going is countercyclical. In times of slowdown, people go to movies more as they substitute more-expensive forms of entertainment with the less-expensive ones. So they travel less, go to concerts and theatre less, but go to the movies more. Our biggest market is Mexico and other Latin American markets. We didn’t have a high year of growth in Mexico, where the GDP grew by 1.3 percent. But we grew 21 percent in Mexico and globally, we were up 29 percent. We are the fourth-largest in the world after Regal Entertainment Group, AMC Entertainment and Cinemark, all of which are US-based. This year, we will open 320 more screens. Q. India was your first market outside Latin America and now you are present in the US too. What are your biggest priorities? UK/Europe: Cineworld has signed a deal with Imax for 11 additional screens. Under the terms of the agreement, the Group will add eight new IMAX® theatres to be installed in existing and new Cineworld multiplexes in the UK and will add three IMAX theatres to its Cinema City circuit in Central Europe and Israel. USA (NM): An overview of the three independently owned and operated art-house cinemas in Santa Fe, including one owned and re-opened by Game of Thrones writer Geroge R.R. Martin. 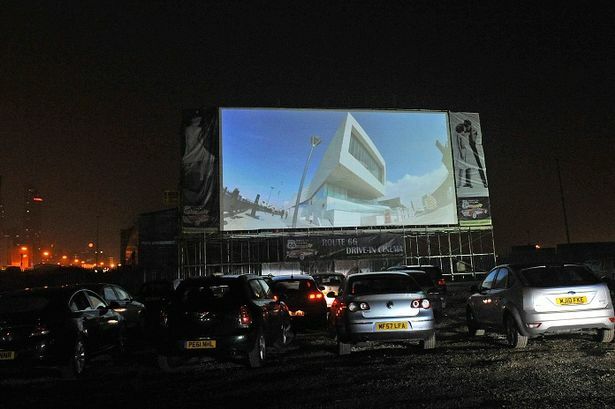 UK: The journalists and sub-editors at Liverpool Echo have not quite grasped the concept of automobile-based outdoor cinemas; they are called ‘Drive-IN’, not ‘Drive-THRU’. Celebrities and business leaders turned out in force for the launch of Route 66, Liverpool’s new drive-thru cinema. More than 300 guests flocked to Clarence Dock, Waterloo Road, tonight to see the UK’s biggest outdoor cinema screen. USA (FL): A new independent mini-multiplex cinema in Tampa offers a slightly more affordable cinema dining experience. Villagio plays with a concept that Cobb CineBistro has all but perfected: an upscale movie experience, where moviegoers can enjoy a restaurant-quality meal, a full bar selection and in-theater comfort levels far surpassing those of the average multiplex. 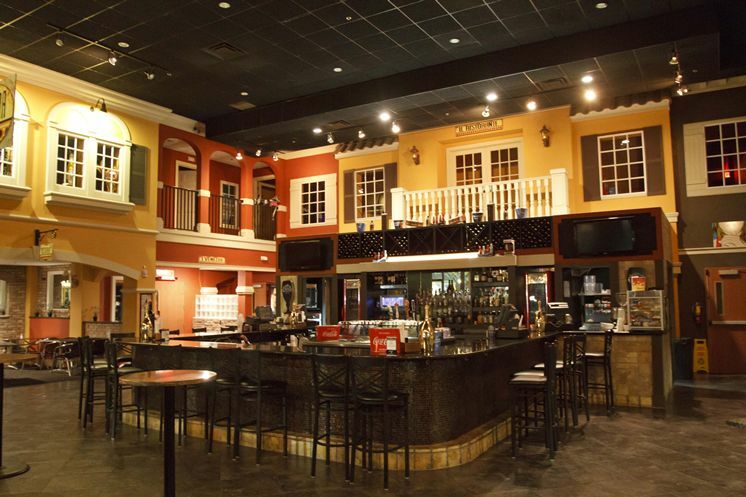 The primary difference between ­CineBistro and Villagio is affordability and polish. Where CineBistro’s Tampa location exudes Hyde Park swank and an opulent quality that extends from the lobby to the bathrooms to the theaters themselves — with prices to match — Villagio is a little rougher around the edges, and everything’s a couple bucks cheaper. USA (ID): A small town single-screen cinema in Idaho saved and able to switch to digital. 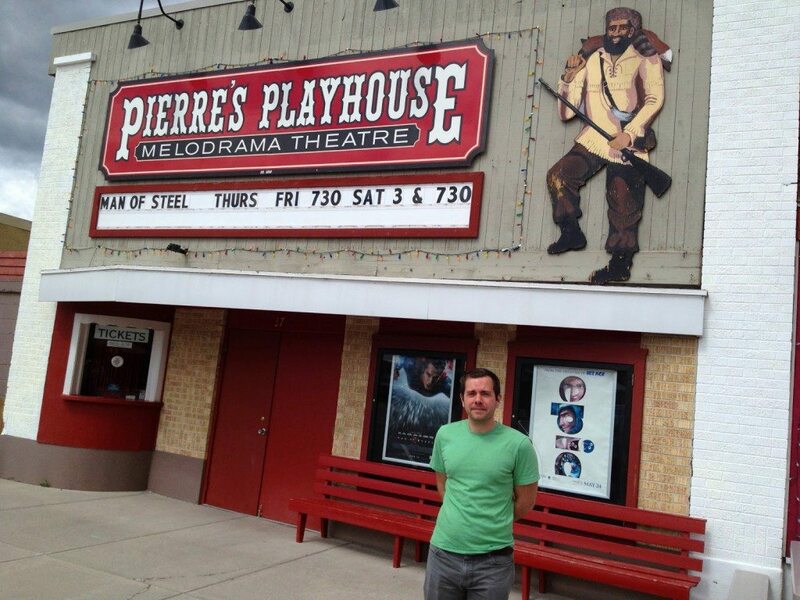 This one with the wonderful name Pierre’s Playhouse Melodrama & Movie Theatre. No longer is Pierre’s playhouse in Victor restricted to the dwindling availability of movies produced on 35 millimeter film; Paramount Studios and 20th Century Fox have both halted the archaic practice altogether. Their operational, yet nearly obsolete projection system is being replaced with a new $40,000 digital projector. Thanks to a generous donation by an anonymous donor to the tune of 10 percent of the total cost, Pierre’s was able to make the leap into the 21st century. 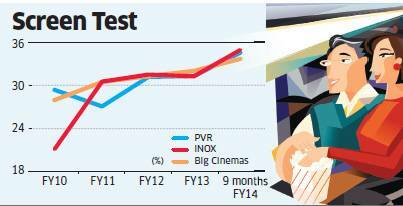 India: It seems that cinema advertising is outpacing concessions when it comes to revenue growth in the Indian multiplex market. Non-ticket segments on average contributed 35% of multiplex operators’ revenue in the nine months through December 2013, data from industry leaders show. These companies, which control more than two-thirds of the industry’s screen capacity, had 26% of their revenue from these businesses in fiscal 2009. Australia: Cinemas don’t just need cinema advertising, they need media agencies too. Like this one. Full service media, digital and creative shop Huckleberry Agency has landed a contract with boutique cinema group, Palace Cinemas. The win will see Huckleberry handle media planning, buying and advise on strategy. UK: Medea with Helen McCrory will be the next major production beamed out by NT Live. USA (MD): An attempt to wrestle first-run film releases to the home. I don’t envision Fox and Warner Bros lining up. They need USD 3 million. So far they have raised $150. XCINEX is a secure platform instantly connecting major and independent studios all over the world with mass audiences on a global scale. Finally, a secure global platform designed specifically to benefit the film industry by ensuring that each person in the room, watching the streamed content, has purchased a movie ticket. USA (CA): Rumble seats are coming to southern California just in time for the summer blockbuster season. Santa Rosa Entertainment, which operates 11 movie theaters across the state, will test new “4-D” cinema technology at one of its Southern California theaters this summer. Its Oxnard theater will be the first in the United States equipped with patented seats developed by MediaMation Inc., a Torrance company known for its motion-effects technology used at Legoland and other attractions. Singapore: One of Singapore’s oldest cinemas/theatres is due to re-open next year. Following a S$750 million makeover, the development will comprise a luxury 157-room hotel, an upmarket mall, 39 high-end residences as well as Capitol Theatre, which will have close to 1,000 seats. The bulk of the project is scheduled to be completed by the end of the year. The plans for the project were announced at a topping-out ceremony held yesterday. USA (CA): Almost filed this one under ‘CineDining’, because that it was iPic cinemas are best known for – their ‘Ninja’ waiters. 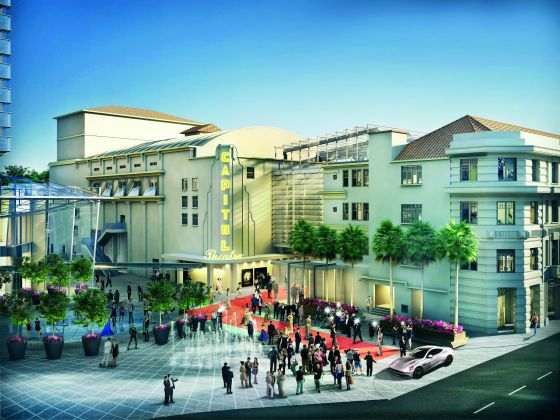 iPic Theaters, the company that operates a popular luxury movie theater in Pasadena, is bringing its brand of premium cinema to Westwood. The Boca Raton, Fla.-based chain said it will open its second L.A. County location on May 2 at the former AMC Avco 4 in Westwood, which shut down in November 2011. 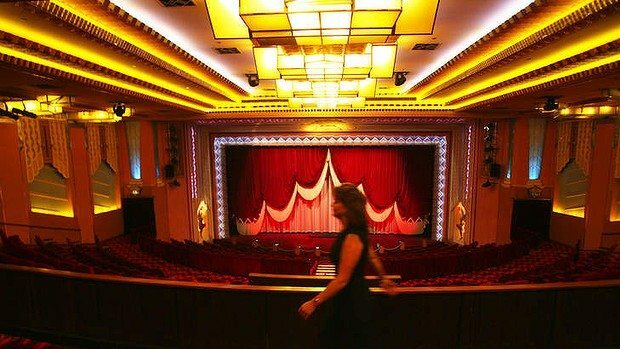 Australia: This big art-deco cinema in New South Wales, the only one within a 65-km radius, is for sale. Let’s hope the new owner keeps it running a sa cinema. ALBURY’S cinema centre could fetch up to $14 million after it was placed on the market. The Dean Street landmark has been owned by the Cromwell Property Group for almost a decade. 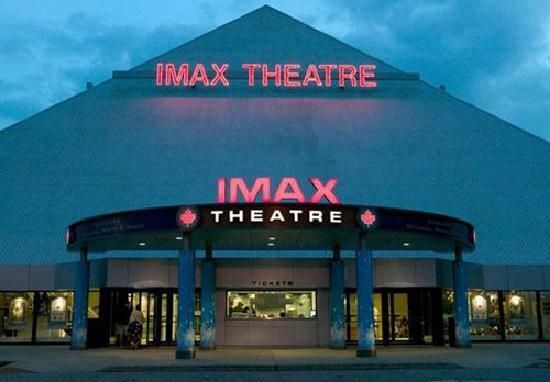 Canada: The most watched Imax cinema in Canada isn’t going anywhere, despite the land on which it stands being sold. The sale of land on Fallsview Boulevard that is home to the IMAX Theatre Niagara Falls will have no impact on the operation of the theatre, the U.S.-based operator of the theatre says. 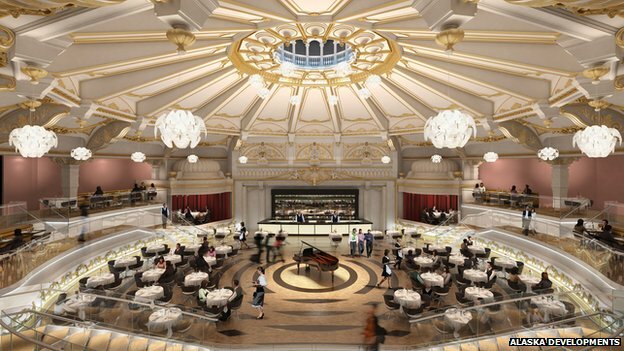 UK: Is this the only way to save the Brighton & Hove Hippodrome? English Heritage has recommended that Brighton and Hove City Council grants listed building planning permission to proposals to redevelop the Brighton Hippodrome. Developers want to turn the Grade II-listed theatre into a £35m eight-screen Vue cinema and four restaurants. UK: Shouldn’t cinemas also get a telegram of congratulation from the Queen for surviving to the ripe old age of 100? The Electric Palace Cinema in Cannock will celebrate it’s 100th anniversary this week with fun and games this Saturday (5th April). There will be events on like face painting, bake sale, an Easter egg hunt and a talk about the history of the cinema etc. The fun starts at 10am. The Khmer Rouge didn’t just kill over a million people but also snuffed out cinemas in Cambodia. Now one former cinema is making a return, sort of, in this article about a city and country without celluloid memory. 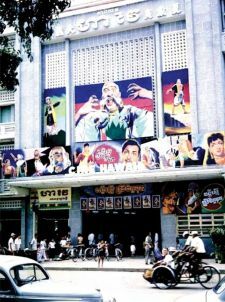 Once upon a time, there were 30 cinemas in Phnom Penh: smoke-filled auditoriums where crowds laughed, cried and chattered back to the characters on screen. Most are gone now, replaced with snooker halls or karaoke bars or simply demolished. But one, the Cine Hawaii, is making an unlikely comeback as part of a million-dollar hotel and restaurant development. One of a cluster of cinemas built from the 1930s onward, Cine Hawaii mostly showed popular Chinese-language films. Cambodians translated live over the microphone. Good characters usually had deep voices, while the villains spoke in falsetto. Even as communist forces closed in on the city in the early 1970s, the cinemas kept their doors open. Sporadic attacks – a grenade claimed lives at the Lux on Norodom Boulevard – kept some moviegoers away. But the cinemas were mostly full, until suddenly they were empty. When the Khmer Rouge captured and evacuated the capital, they closed the theatres and all but a few of the film reels fell into decay.